This measures 18" x 18". I am so grateful to end an very iky Spring Break with their visit. My daughter made me "grandmatis" our house...and I LOVE IT!!!! I'm so rejuvenated after their visit! I am truly grateful today and can't wait to get back to see my second graders. I've missed them. So as I click "post" I hope to inspire you to enjoy your new day too!! PS: Can you tell I was a Scrapbooker before I started quilting!! Secretly, when no one is around, THIS is what I actually think of your response to the new linky. Jo at ButterZ blogspot wins this (42) Hoopla Charms Pack by Moda. Congrats Jo and watch for my email so ya can send me your snail mail address. in spreading the word and in linking up! PS: This Tuesday is Backs (of quilts) & Batiks!! This month I added a pom-pom ribbon to my girls and house and used a decorative stitch to sew it on. I've really begun to look forward to my RSC day of sewing each month, as I find myself playing more and more as I sew. I'm even starting to find myself looking at those houses and thinking about how I'm going to play with adding all the doors and windows. Until next Saturday...happy sewing ya all! ...into this Chevron Quilt. I used Kelly's (from My Quilt Infatuation) Chevron Tutorial and found this pattern to be just as quick and easy as she proclaimed it would be, so this was not a WIP very long. I had to make do with an inside photo shoot due to the rain we are having...but Jackson didn't seem to mind. The backing is the same blue butterfly fabric I used in the border and the binding is a Sketch fabric and the color is called Lipstick. (I love that name!) I couldn't resist quilting this with whimsical butterfly pantograph that includes the words: colorful, beautiful, and butterfly scripted between the fluttering butterflies! I used a bright variegated pink thread and this measures into a cozy 48" x 66" lap size quilt that I plan to keep and use. As, without the motivation of ALYofF, I don't think I would have got this one done. 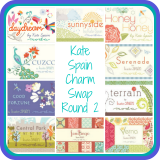 Stop by & check out everyone's March finishes & thanks a bunch for stopping by to see mine. Feels good to be sewing again. 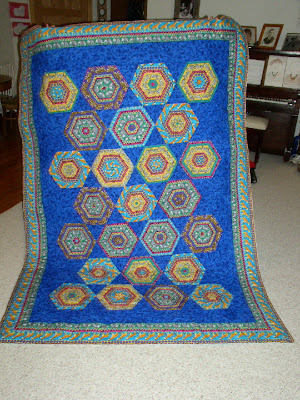 My March ALYofF will be coming off the design wall today as I sew the rows together and move on to the quilting. I'm thinking a quick butterfly pantograph. I also have a lipstick sketch fabric for the binding to really pop it. Well, if I'm going for a Friday Finish...I better get going huh! 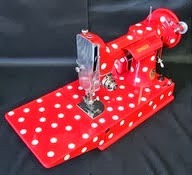 The linky party that rejuvenates your old quilting/sewing posts! 1. 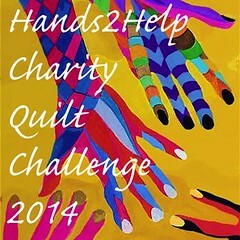 Each Tuesday I'll post two quilting/sewing themes. 2. 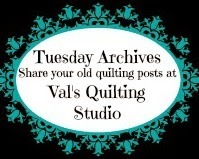 Search through your quilting archives for old posts to link under the theme. 3. 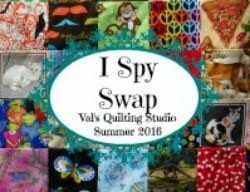 Finally,visit a few other quilty friends, let them know how they have inspired you! NOTE: I posted the themes for April. They can be found at the top of my sidebar, right above my linky button. Nothing better than a wee one playing in our scraps! 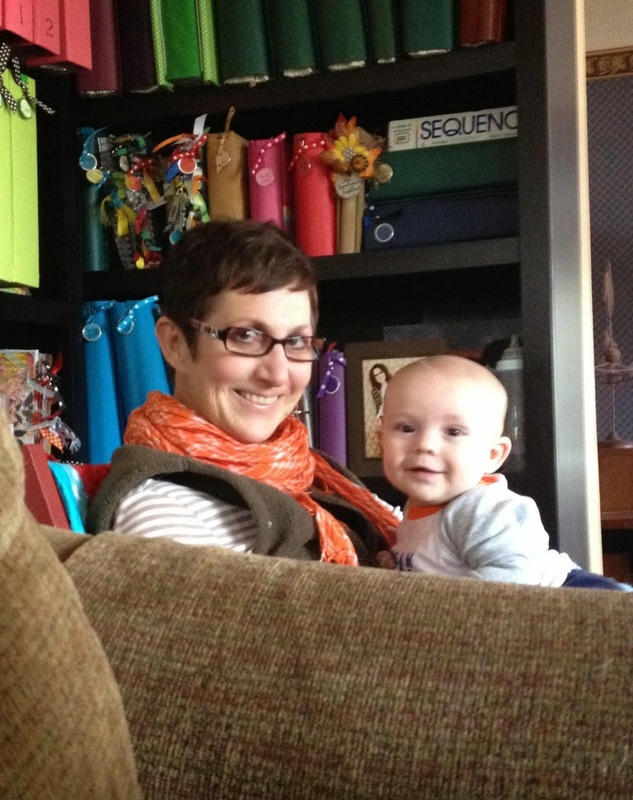 We have many baby quilts/sewing projects to share and how to ya pick a favorite!? So as a short cut, if you want to and have one, please feel free to link us to your baby label. Be kinda fun to see ALL your previous Baby posts in one big scroll. Since I'm a new grandma, you've probably seen everything I've made in this category, but I'll link up my Baby Label for the fun of sharing. PS: Thank you to everyone for your support! This linky has already been so much fun! If this is your first time by...welcome. If ya get a chance to add my button to your blog and/or linky party list, comment on this post to let me know you did and you'll be entered in a "surprise" fabric give-away! My monthly fat quarters have arrived! And they truly make me smile! I love this range of greens this month. You can read more about these lovelies here. I'm feeling tons better and want to thank everyone for their well wishes. 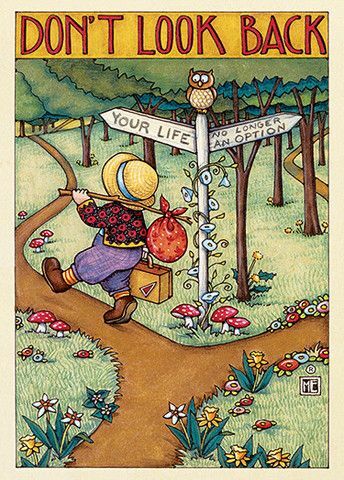 I plan to follow your advice to take it slow and continue to get plenty of rest as I get started on my March ALYofF! (Yes, I'm just starting...LOL!!) But, since my Spring Break plans dissolved before my eyes and I'm home until the coughing fades...I think this goal is still attainable...as I prepare to have myself an at-home sewing vacation instead. I'm ready to press and starch! 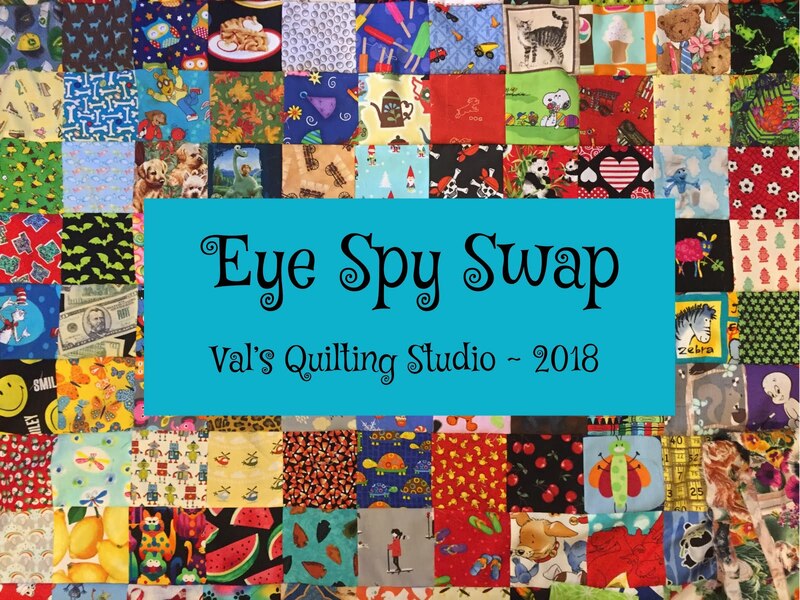 I've been collecting polka dots long enough that my fat quarter bins are full and I couldn't think of a better away to whittle down the piles than to pull them together and join Paula at her blog The Sassy Quilter for her Triangle Quilt Along. This will be my first Quilt Along so I'm looking forward to experiencing this process for the first time. If ya haven't signed up yet, here's a look at the schedule and note there will be weekly prizes along with BIG Grand Prizes...very generous Paula! Thank you! I know a few of my fellow blogging buddies are already signed up. Check it out, as we'd love ya to join us! Grilled Cheese, Fabric & Linky Highlights! So...what is the first thing you crave after emerging from two days of battling the flu, fever, chills, body aches...the whole kit and caboodle, concluded with a diagnosis of bronchitis, a Zpack and a week of rest highly recommended? For me it was a grilled cheese sandwich. My husband was humored by their kind note wishing HIM enjoyment of the fabric...until I explained that our Pay Pal account is in his name....LOL! Sixty-three link ups this week!! (I have been in a time warp!) I can't believe it! It's fun, inspiring and rewarding to find out everyone is enjoying this new linky. Thanks Val, this is my first time by and first link with you. Its fun to re-visit our old blog posts. Lots of good memories to revisit. Blogging is positive reinforcement showing we have so much to be thankful for along with so much talent out there to be shared. Love your Happy Day quilt. The oldest post I read in the Animal's Theme was dated January 2007 by Alicia at Alicia Quilts. A Stack and Whack made out of Animal prints. Stack and Whacks are fun to make if ya haven't tried one yet. and Chevron Improv Award Winners with us! And the oldest quilt shared in a new post was by Daryl at Pachouli Moon Studio who made this adorable quilt for her now thirty year old daughter when she was a teenager. I love that this quilt is now part of Daryl's blog archives! Grab yourselves a "I was Highlighted" button ladies! It's a Tuesday linky that rejuvenates your old quilting/sewing posts and offers a place to find focused inspiration! 3. 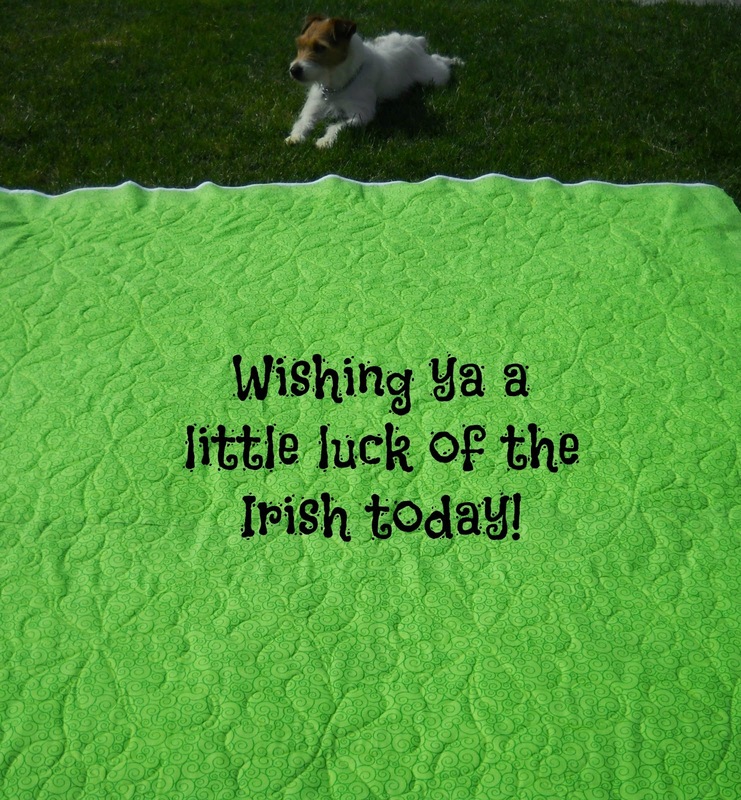 Visit a few other quilty friends, let them know how they have inspired you! Stop and look over at the upper right hand corner of my sidebar (Right above my picture, then right above my linky button). As requested, you will find the Monthly Tuesday Archives Themes for the present month right there! (Next week's themes: Baby and Barns) Okay now on to today's linky of Animal and Award Winning Quilts. Search though your archives for anything and everything animals! As previously posted here, I made this cute dinosaur quilt for our Grandson last summer. It was quick and easy. The dinosaur quilting added the perfect finishing touch! Don't be shy! 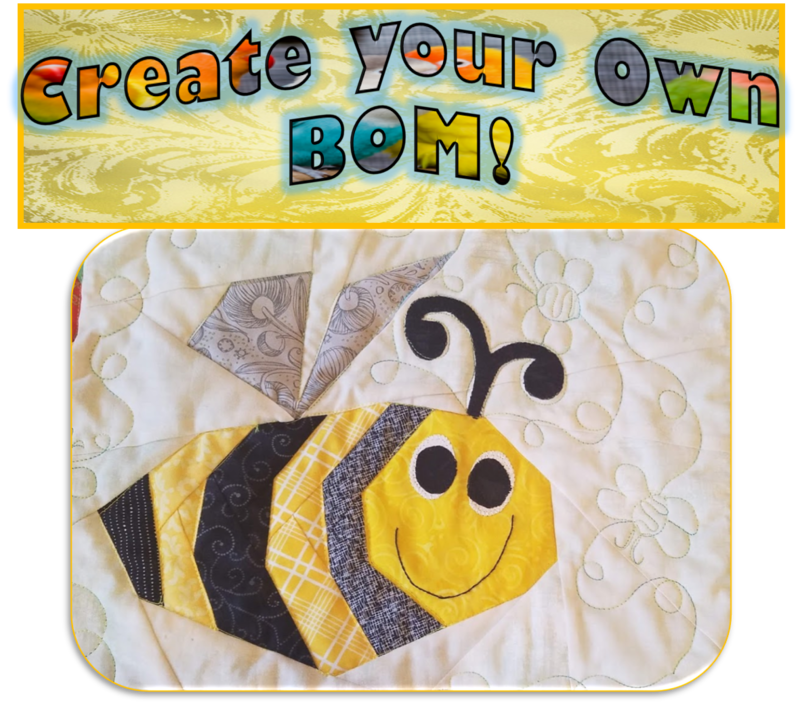 Share your "award" winning quilts with us. I won a Viewer's Choice award for my Oh Happy Day Quilt and I have to admit I was pretty darn excited! LOL! And don't forget to wear your green ...or you just may get pinched! I DO NOT make him do this! I promise! Anyhooo...today found me quilting this Project Linus top. I chose a Retro Flower pantograph..."Groovy flowers Marcia". I was pretty flattered when my husband came home and said, "I really like this one." (How sweet! )But I too, like the big daisies. I don't why my scruffy guy thinks he needs to supervise my picture taking, but do take a good look, as by the time I finish another quilting, he'll have had his Spring haircut....and just let me tell you, if ya think he loves the camera now...just WAIT!!! He thinks he's quite the HOTTY when he gets groomed! You see, twenty-one years ago I was diagnosed with Hodgkin s Disease and underwent 10 months of chemotherapy followed by a month of daily radiation. And I'll never forget the comfort of my mom sitting by my side during every treatment, knitting this blanket for me. (...when she wasn't chasing our then 2 and 3 year old daughters that is! Love you mom! )To this very day, I love my heart blanket. It has been worn thin from years of use and it's softness has been replaced with those little bubbles knitted blankets get after a million washes. It's holes have been mended and re-mended. Yet, here it sits every single day, on my favorite chair. I'm comforted by the love of my mother when I see it...when I cuddle up in it. And even though my mom has since made me a newer...bigger version, nothing can replace the memories and love this ol' one holds. THIS is exactly why I'm participating in and looking forward to this opportunity provided by Sarah at Confessions of a Fabric Addict to make a quilt for others in need. Signups begin this Sunday March 16th and go through the 22nd. You can read more about this challenge here & the three organizations offered. 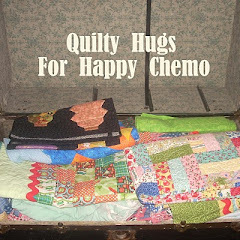 I'm creating a colorful, quilty hug for Happy Chemo, an ongoing project at Em's Scrapbag. I hope you'll consider joining in! Our quilts are truly a work of heart. They will bring a comfort and kindness that will outlive any of the obstacles life sometimes challenges us all with. Welcome to a NEW Linky Party!